Ithaca Neighborhood Housing Services (INHS) hosted a ribbon cutting ceremony to open their newest development, 210 Hancock Street. 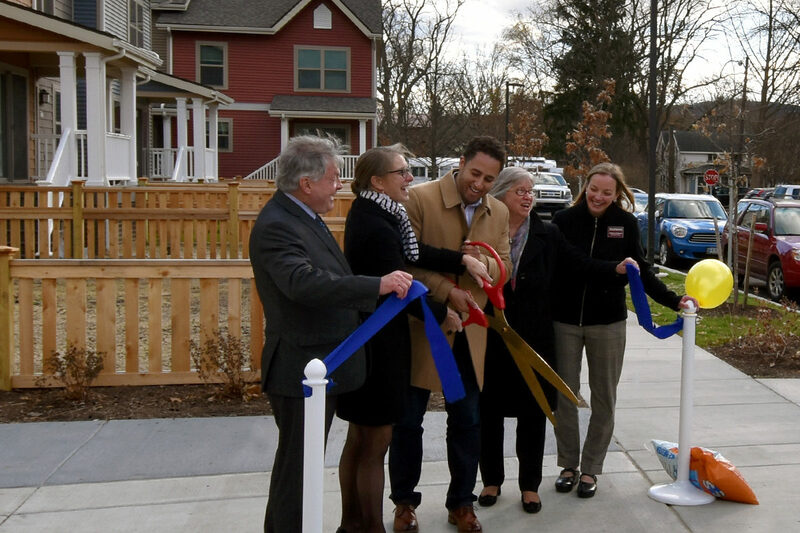 The project transformed a vacant block in the heart of Ithaca, New York into a vibrant mixed-use asset for the neighborhood, providing 59 units of affordable and market rate housing. TWMLA is proud to have continued our long-standing collaborative relationship with INHS by providing landscape architectural services for 210 Hancock Street; from early public charrettes through construction administration.